Hello! Rachel here today with a super simple and quick project. 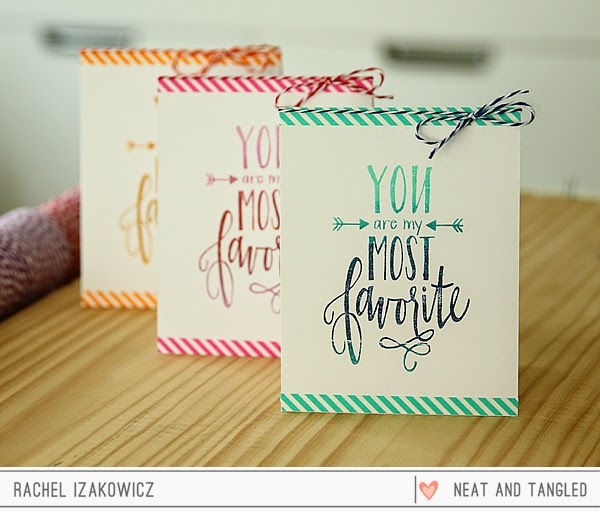 I wanted to create a card set for a friend, but I was short on time - enter my favorite sentiment and Ombre inks. 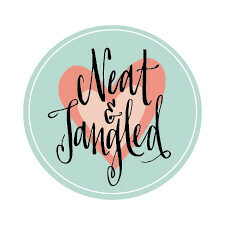 I use this sentiment a lot (you may have noticed that already from all my previous Neat & Tangled projects!). 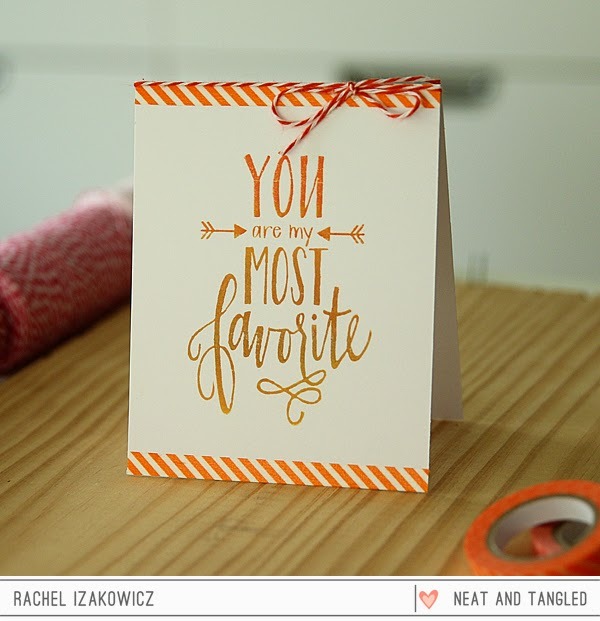 I adore Danielle's handwriting and this sentiment is so gorgeous, you really don't need much else going on with your card. I wanted to keep it simple & 1 layer, so I opted to stamp these with the Hero Arts Ombre Inks. You could also achieve this using a few different color ink pads - smaller pads would be easiest- but, I wanted to give these new inks a try. 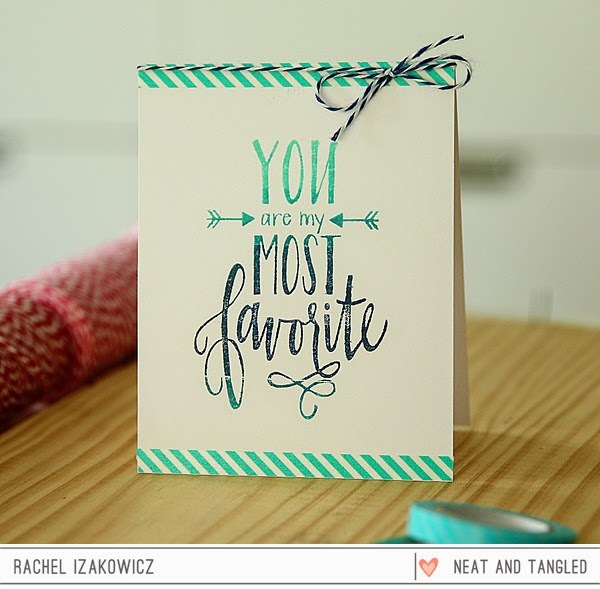 The sentiment is large, so you need to go light to dark and then dark to light to cover the entire stamp. I kept the rest of the card super simple. 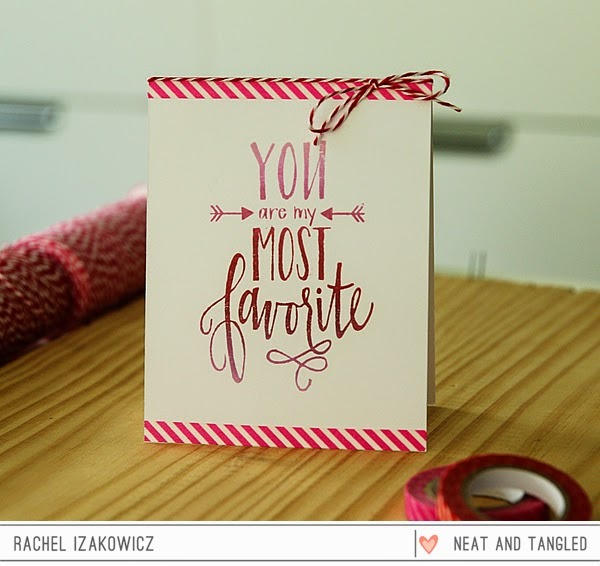 I used a thin strip of washi on the top & bottom of each card and tied a coordinating piece of twine around the top. I love the bright colors and simple design. It was easy to mass produce these and a set of 10 was ready in no time. 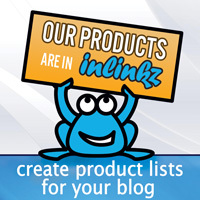 These are so great - simple, but fabulous! My favorite sentiment, too! I love how they each look so pretty and different! This card set is beautiful! These are all lovely, Rachel!